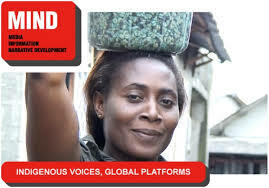 MIND is a Nigerian non-profit organisation that seeks to strengthen the public voices of groups who rarely have a chance to air their views in public – including women and girls. We equip them with research tools to examine their own situation. And give them access to media techniques to share their perspectives. (Kaduna, Kano, Lagos, and Enugu). The FGDs aim to assess the radio listening behaviour, interests, and communication styles of adolescent girls and women (AGWs) and adolescent boys and men (ABMs) residing in the State Capitals, and examine their prevailing gender norms. The results will be fed into a Capacity Building Strategy for radio professionals.  Provide local know-how and feedback to MIND’s Project Team as the need arises. The deadline for application is Monday 9 June, 8am. Suitable candidates will be incorporated in MIND’s pool of consultants for future opportunities. Posted on June 5, 2014, in Africa, Career, Opportunities and tagged and Narrative Development), Call for Applications: MIND Nigeria seeks FGD Moderators, Information, MIND (Media, MIND Nigeria seeks FGD Moderators. Bookmark the permalink. Leave a comment.